Working from a home office is a growing trend and many people are finding job opportunities where they can work from home. What’s more, they are moving from working inside their home to set up complete backyard office. The concept has become a phenomenon and has been explored in depth by Alex Johnson’s in his book ‘Shedworking’. In fact…he actually reveals that the concept of working in a backyard shed has been around for centuries. Many famous authors used their shed as a quiet place to write, like Roald Dahl who wrote famous children’s books and called his outside shed a “writing hut”. There was also Virginia Wolf, who wrote her novels in a revamped potting shed. Bands often start out in their backyards or garages much like Pink Floyds, Roger Waters, who created his early music in his backyard shed. Many things have also been discovered, built, fixed and started in the backyard. For example Steve Jobs and Apple computers. Today it’s even easier to work from home thanks to the Internet. The amount of opportunities this technology has opened to people is endless and now almost anyone can work from home. From creative authors, band geeks and self-employed business owners to a professional employee working for a company. All of who can easily set up office in their very own backyard! The advantages of running a business or working from a home office in your backyard are numerous. Not only this but they are far more superior than having to go off to work somewhere every day. By eliminating commuting you have more quality time for your working endeavours and less time wasted in traffic. You are helping the environment by taking one car off the road. You can ‘go to work’ in comfortable clothes (Even PJs if you so desire). You can design your working space to suit your needs and wants… It’s completely yours and you are the boss of it. Setting up a beautiful and useful shed or workshop also adds tremendous value to your property. But the list does not end there! The benefits are huge and will differ depending on what you do and who you are. If you are an artist or a writer, the peaceful seclusion without distractions allows you to create your pieces without being disturbed. You can also have all your materials handy and available instead of having to take over the dining room or kitchen table or shared studios. Running a home business from a separate building gives you a place to produce the items as well as providing a display and consultation area for. In a business atmosphere, this is much more helpful for sales. If you are an employee, the joy of not having people looking over your shoulder, having peace and quiet to get your tasks done and being in your own space makes for a healthy and productive environment. 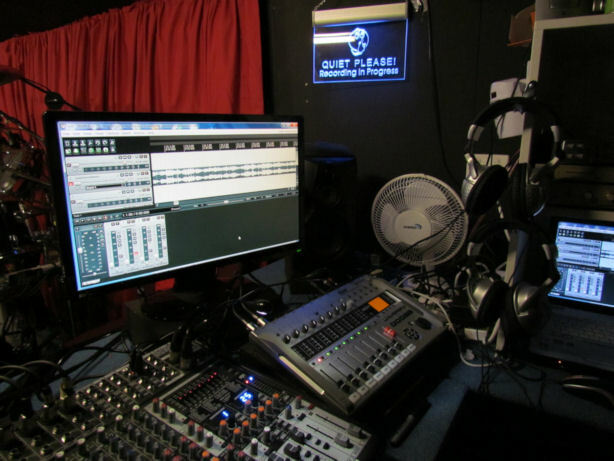 If you are part of a band, you will all have a place to practice your music and one day be the next big thing on the world stage! So How Do You ‘Set Up Office’? A shed office is perfect as a central part of your working life and still removes you from your home itself. It is the perfect environment in which to concentrate on work, but you can lock it up and leave it behind at the end of the day. However, this place away from home does not need to be ‘a rickety’ wooden shed or ‘rusty’ tin shed, no not at all! In today’s modern world, sheds and workshops have taken on new designs moving them far away from the ‘old garden shed’ to glamorous studios, man caves, fully equipped offices and workshops. Such a building can be designed exactly how you require it to be in order to fill your particular needs. It also does not have to be as expensive as it sounds. It can be fairly cost effective if you take the time to plan it and do your research properly. 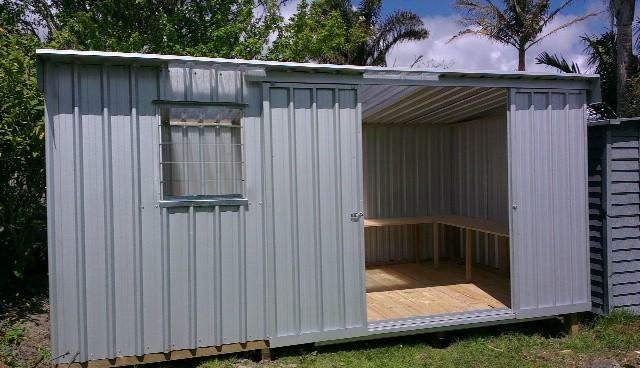 It is possible to convert the old shed in your backyard into an office, but by the time you have factored in the renovations and all the bits and pieces to get it up to scratch, you may as well have purchased a new one. It is possible though, so it’s worth weighing up the costs of renovating the old or investing in something new. You do not need to build something from scratch either. 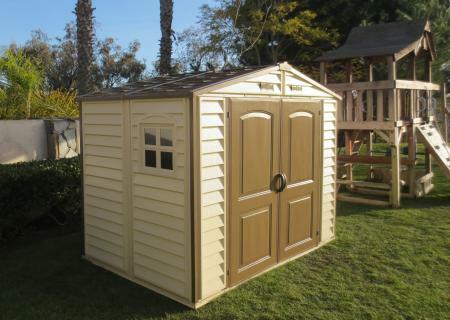 You can purchase a DIY shed or workshop online and put it together yourself. With today’s revolutionary designs they are made for easy assembly so you do not need building experience. However, you must do your research and ensure you purchase from a reputable source so you are guaranteed quality and competitive prices. It will come down to choice and affordability in choosing the one for you. Each one is very different to the other, however, you are able to create a great environment in either of them. A cheap solution for heating is getting special insulation or blankets. These are cost-effective and can make the building stay cool in the summer and warm in the winter again making it cost-effective to run. Appropriate lighting solutions and a choice of flooring and blinds help you create the ideal environment for your business. A good choice of windows and doors can provide your building with natural light and also bring the outside indoors. Skylight sheets and panels are also a great way to bring in plenty of natural light from above. All of these features should be available to order with your shed kit and be built into the designs. Fresh air is important if you are going to spend a lot of time in your office shed. And it’s something a lot of people tend to forget. Opening windows are a great solution for airflow. Built-in ventilation panels are also great and generally included in shed models such as Keter resin sheds and Stilla Cedar sheds. Most shed offices will require some power unless your office is to be an isolated quiet retreat to stimulate creativity. But for those who will need extra lighting, powered appliances and computers there are two solutions. If your shed office is built near to your home, you could easily lead power out to your shed. Remember you need to do this safely to avoid fire hazards. It is probably best to get the electrics done by an electrician to ensure it is done properly. In the modern world being connected is vital and you need to consider your options before moving into your shed office. You would need to figure our your phone lines and broadband which will depend on your service providers and wiring set-up. Alternatively, you can consider wireless devices and a business mobile phone contract to eliminate the need for phones and wires. Do keep reception in mind when choosing the location of your shed in your backyard. No point having an office if you cannot connect to the world. Decorating your office to your taste is possible when you own it, plus it can create an atmosphere you are happy and comfortable to work in. The better the ‘feng Shui’ the more productive you will be. Just be mindful to keep it simple so not to clutter your space and perhaps consider some easy folding furniture so you can make more room when needed. As you can see, it can be much simpler than expected to set up an office however we do suggest you talk to your local planning authority so that you can follow the necessary regulations, if any. The last thing you want is to add this beautiful structure and have to remove it if it does not meet building standards.